So American Pickers debuted tonite on the History Channel. Noticed when the 2 guys pulled back up to their shop there was a lowered Single Cab w/rack sitting in the driveway. I believe these guys are in Iowa. Anybody know the owner of the truck. Looks like it might be a cool show. Watching it now... Clean white SC for sure. I missed the single cab but this show seems pretty good so far. I do this kind of stuff on the weekends and sometimes it pays off. But sometimes the people get pissed when you knock on the door. The also have a bunch of little VW stuff in the shop. 58 Binz DC #151 "Nacho"
Location: between Trenton NJ. & Philly Pa.
Hoockd on fonicks werkt for mee? looks like the single cab had deluxe trim on the passenger side door in one angle. I missed it because I only saw like 5 minutes of the show. I am recording it and will check it out tomorrow. if you go to their website, they have a picture of Mike sitting in it. Nice front shot. Looks pretty cool. Hurst front bumper and industrial truck mirrors....B.A. It was a lot better than I was expecting it to be (with the "other" shows being done on History Channel). 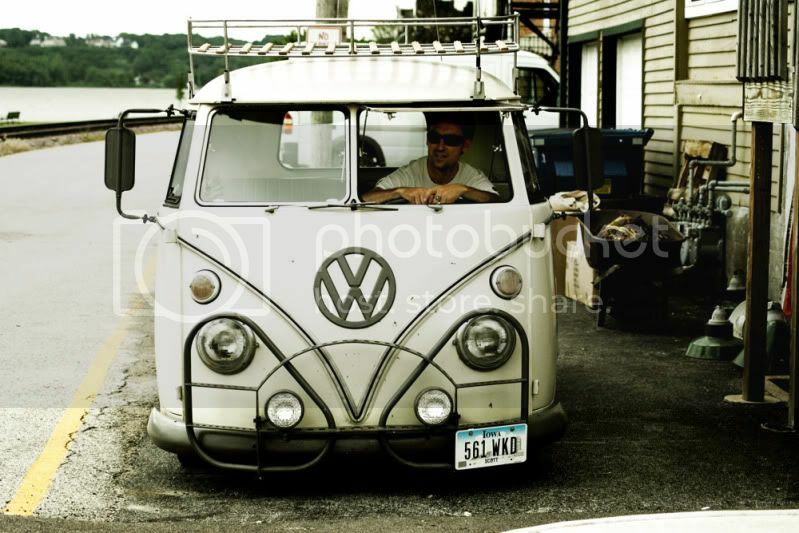 As far as "clean" Single Cab... well it was not a hood ride/ Jersey looker. I was surprised the old-timer took $75 for his saddle. 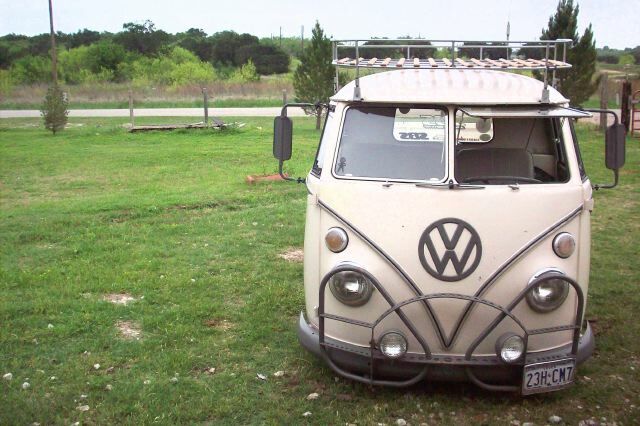 I know a guy who has a property poluted with volkswagens...we hit it off and I was crawling over his stuff...he knew exactly what he had and if I asked to buy anything it was premium prices! Great place to dream! I'm not sure I agree, alot of the stuff they picked would have been there after the folks that sold it are gone. If they could use a few bucks and agree on a price, I think it's good for both. The other thing is they target horders...who often don't keep up with the times, no internet, old cars, ratty houses...that is the profile of people who have alot of "junk" (treasures) sitting around. You think they want to knock on the average door and offer money for some stuff from Ikea? I will say, I like Pawnstars, if he doesn't know what it's worth he calls in the expert, then he low-balls them right after they hear what it could be worth!! Man I'll never understand that. Professional tells them (right in front of the customer) that it's worth 15k. The pawn dude turns around and offers the customer 7k AND THEY TAKE IT!.. WTF! Pawnstars is funny to me. You see these people bringing in items that their great great grandfathers or grandmothers give them, they find out what it's worth, then they get offered maybe a 1/3 what they were just told...feel like crap, and take it like it's their last chance. Sentimental things to me get passed on, not sold I guess. but that's just me. That's the whole idea behind a pawn shop: quick cash. I thought they took advantage of the old guy. $50 for that old motorcycle! I hope they sleep well. I'm pretty shocked at the number of people who bring in the stuff they got handed down to them. I can't help but think, their in Vegas, and they take that 1200 bucks around the corner and bet black! I didnt like how the pickers acted like they weren't together. It was like they offered on their own, and when the owner looked at the other guy, he looked at them as to say, "Dont look at me, he's the one making the offer!". I'm sure that's a bit of strategy if the owner feels like he got taken by one guy, maybe the other guy can still get another deal.